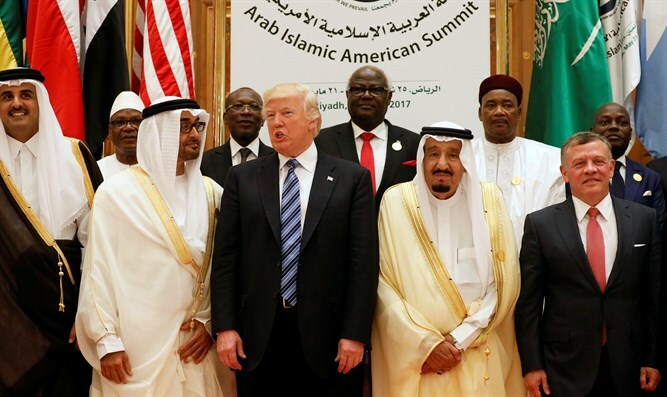 Sunni Arab countries say Qatar supports terror, break ties. Saudi Arabia, Egypt, the United Arab Emirates, and Bahrain on Monday morning announced they would break diplomatic ties with Qatar. In an official statement, the countries said "Qatar adopted terror organizations which intend to harm the region's stability." Qatari Emir Sheikh Tamim bin Hamad Al Thani was recently quoted as telling official media as speaking out in support of Iran, against the Gulf states and Egypt, claiming his country has a good relationship with Israel, defending Hezbollah, and admitting to strained relations with US President Donald Trump's administration. After the break in ties was announced, Saudi Arabia told its citizens to leave Qatar within fourteen days. In addition, UAE carrier Etihad Airways announced all flights to Qatar would be cancelled as of Tuesday morning. "Qatar is part of the Arab world, and that won't change," Former Israeli Military Intelligence Directorate Head Amos Yadlin told Reshet Bet Radio on Monday morning.